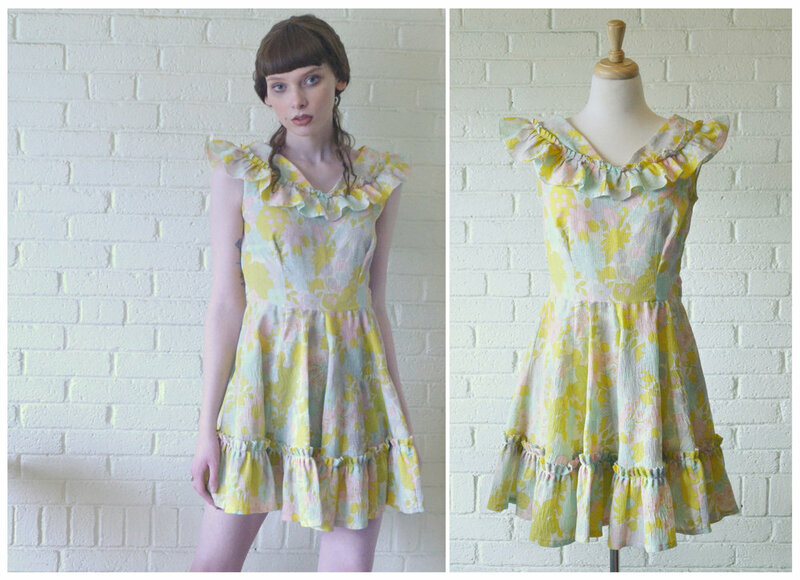 Playful and - gasp - comfortable, this handmade 1960s style babydoll dress is the perfect spring and summer go to! 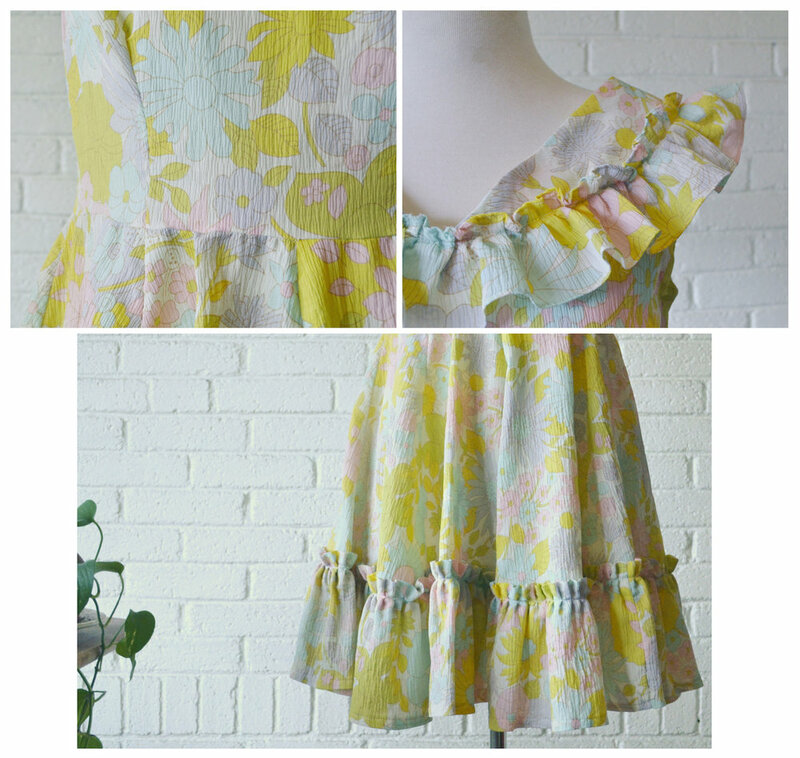 I invite you to scroll down to see images of the 1960s Novelty Print Crepe Babydoll Dress in greater detail. Colors: Robin's egg blue, lemon, chartreuse, lilac, and chalk. Closures: Single plastic and metal side zip. I've made a hand repair to the back of the waist seam. There are three very small pin pricks along the bodice, near the waist, on the front of the dress. Given the texture of the crepe, there are not very noticeable. This darling warmer weather number is unlined.